Deities, Emperors, Ghosts, Fire Horses and Dragons, Chinese history and legends are crowded with impressive beings. 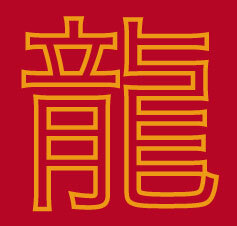 Find out more about Chinese Customs and Traditions related to Chinese New Year and other lunar festivals and holidays. Information about the Chinese New Year celebrations and festivities in Bangkok and Thailand. The origins of the Lunar New Year. Celebrations on Chuxi the last day of the old year. 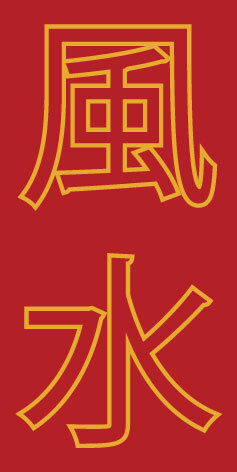 Day by day of the 15-Day Celebration of Chinese New Year. 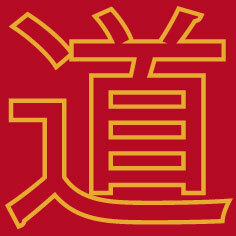 Twelve symbols on the imperial Dragon Robe. 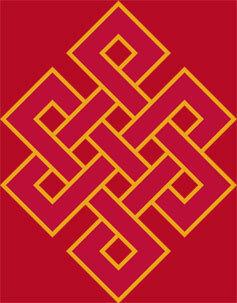 Buddhist missionaries brought eight auspicious symbols from India to China. The legendary group of the eight immortals who know the secrets of nature. Pets for great happiness, longevity, benefit in business and, of course, LoVe. How to transfer some money to your ancestors. The tricky concept of the eight trigrams. A Chinese shrine in Bangkok's China Town. Farmer's manual with its rules and regulations, includes the annual cycle of the 12 animals. Jin, Ming, Qin, Qing, Xin, you name it. Before the Five Elements were in use, there were only two colors. Mythical creatures sway in divine rhythm. The art of home decoration or more? How to horrify bad ghosts and monsters. Wood, Fire, Earth, Metal, and Water. Aspects of the Five Elements. More about the legendary, morally perfect sage-kings. Offering with peacock feathers antenna. A shrine for a red faced deity. About the General of the Shu Han Kingdom. The short version of a long (hi)story. Meet the Supreme God, Ruler of all Heavens, the Earth and the Underworld. Acolytes of the Goddess of Compassion and other Immortals. Hell currency and other virtual gifts. The predicted Friendly One of the Future. A Tae Chew style shrine in China Town, Bangkok. About the famous bamboo that isn't a bamboo. More about the traditional Chinese game. For the Chinese always a reason to celebrate. About the three legged frog. Meet the terrible monster of Chinese New Year. The heavenly phoenix with 100 eyes. The lucky pig of the Chinese Zodiac. The secret of the red envelope. 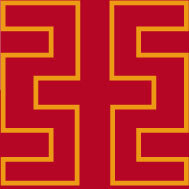 A former general in heaven. A user's guide to the perfect concinnity with tao. A Chinese temple and hospital in China Town, Bangkok. All about the God of Wealth and Prosperity. The Dragon Lotus Temple in China Town, Bangkok. The principle of the Ultimate. About the ancient Chinese cash. The famous warrior with the dark face.